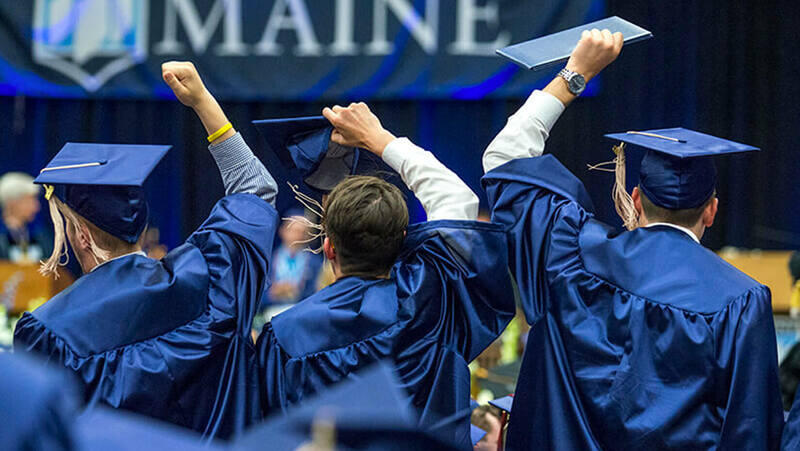 The University of Maine has named its Outstanding Graduating Students for 2017. Donald Bistri of Tirana, Albania is a mechanical engineering major who has been a student research assistant for two years in the Advanced Structures and Composites Center (ASCC). At UMaine, his honors included the Alton S. and Adelaide B. Hamm College of Engineering Scholarship. 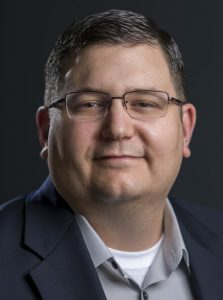 At ASCC, Bistri’s research focused on the structure of a hypersonic inflatable aerodynamic decelerator (HIAD) technology developed by NASA to enable spaceships to carry astronauts and heavy loads to explore Mars. He also was a research assistant in the Alfond W2 Ocean Engineering Lab. 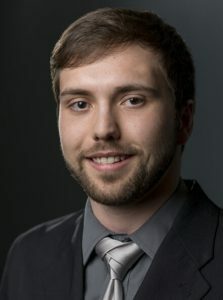 His capstone project involves the modeling and fabrication of a lightweight autonomous land drone to address the need for a cost-effective, safe method for patrolling borders. When not in the research lab or in class, Bistri is on the field as part of the Friday Night Soccer Club. He has been a mathematics tutor, and a grading assistant in the departments of mechanical engineering and mathematics and statistics. Bistri has been awarded a full scholarship to pursue a master’s degree in aerospace engineering at Georgia Institute of Technology. Chad Caron of Milford, Maine is majoring in university studies with a focus on leadership and a minor in psychology. His senior research paper explored ways in which leaders can more effectively lead younger generations. Caron has worked full time for Dead River Company in Brewer, Maine for the past several years, initially as an energy advisor and more recently as market manager. He served in the U.S. Navy from 1997–2002. Caron’s honors at UMaine include the Presidential Achievement Award. He will continue with his education, pursuing an MBA at the Maine Business School. 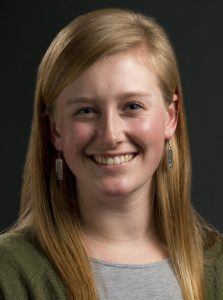 Afton Hupper of St. George, Maine is an Honors student majoring in ecology and environmental sciences, with a concentration in sustainability, environmental policy and natural resource management, and a minor in sustainable food systems. Her many academic honors include a Boyle Associates Scholarship and a Stantec Consulting Scholarship. Hupper received Second Prize in the 2015 John M. Rezendes Ethics Essay Competition. She was a Sustainable Food Systems Research Collaborative Fellow in the Honors College, and interned with the Orono Economic Development Corporation and Good Shepherd Food Bank of Maine. Hupper has been a research assistant on two projects: one studying the effects of epizootic shell disease on Maine’s lobster industry, and another studying cooperation buying clubs and consumer food cooperatives. She has presented her research on campus and at regional and national conferences, participated in the Maine Hunger Dialogue, and volunteered with the Orono Community Garden. 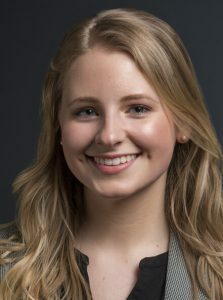 Her Honors thesis is: “The Role of Cooperation and Prosocial Behavior in Food Buying Clubs: An Exploratory Study.” Hupper will pursue a master’s degree at UMaine in natural resource economics and policy. Sigrid “Sigi” Koizar of Vienna, Austria is a biology major, with a pre-med concentration and a minor in chemistry. Koizar, a guard and 2016–17 captain on the UMaine women’s basketball team, is a two-time “M” Club Dean Smith Award winner. Her many other honors on the court and in the classroom include the CoSIDA Academic All America Second Team and the School of Biology and Ecology Junior Academic Award for highest GPA. She is a three-time America East All Academic Team and America East Commissioner’s Honor Roll. Koizar has been a peer tutor and collaborated on her capstone research project with professor Kristy Townsend. She will be playing professional basketball in Europe. Hoang Anh “Christine” Le of Hanoi, Vietnam is majoring in accounting. 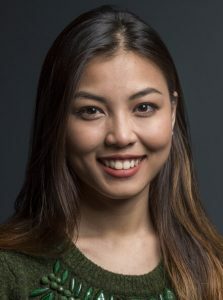 Although English is not her first language, her Honors thesis is: “A Creative Thesis: The Me You Don’t Know.” Le interned with KPMG in Boston and Purdy Powers & Company in Portland, Maine. For three consecutive terms, she served as the vice president of financial affairs in Student Government. She was an instructor assistant in accounting, a resident assistant, and a student accounting/finance assistant at the Advanced Structures and Composites Center. 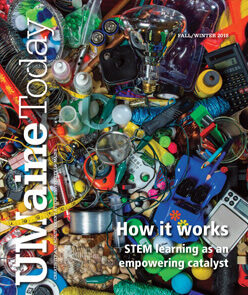 Le is a member of All Maine Women, and was a finalist in the UMaine Business Challenge and a Blackstone Accelerates Growth Innovate for Maine Fellow. On campus, she also has been active in SPIFFY and the International Student Association. She received the Academic Achievement in Accounting Award from the Maine Business School. Le will start work as a tax professional at KPMG Boston while pursuing her passion for learning languages. She speaks English, Vietnamese, French and Mandarin Chinese. Maude Meeker of Naples, Maine is an elementary education major, with a concentration in English as a second language. Her honors thesis is: “Analyzing Student Opt-Out of Standardized Testing in Maine.” Meeker received the Cumberland County Retired Educators Association Scholarship. She did her field experience and student teaching at Brewer Community School, and taught for a semester at the British Royal School, Santiago, Chile. On campus, Meeker plays intramural soccer, and has been an IEI conversation partner, a Black Bear Mentor and member of the Honors College Student Advisory Board. She has worked as an after-school counselor for Orono and Veazie, and volunteered at the Orono Gardening & Cooking Club. Meeker also has been a student research assistant, collaborating with professor John Jemison on potato trials at Rogers Farm. She will pursue a career in teaching. Nhat Han Nguyen Dang of Ho Chi Minh City, Vietnam is majoring in chemistry. Her academic honors include the Omar F. and Lenora L. Tarr Scholarship and an Undergraduate Research and Creative Activity Fellowship. 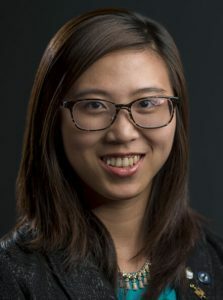 For the past two years, Nguyen has collaborated in the lab of professor William Gramlich to develop an innovative hydrogel coating that can be used for marine anti-biofouling applications. She has been a peer tutor and an active member of the International Student Association. She plans to attend graduate school to pursue a Ph.D. in biomedical sciences. Jake Osborne of Burlington, Ontario, Canada is a kinesiology – exercise science major. He is a Maine Scholar-Athlete and the Outstanding Student in Kinesiology – Exercise Science. Osborne has been a member of the UMaine baseball and track and field teams, and was named to the America East All-Academic Team this year. He interned with The Performance Lab in Toronto, Ontario, where he will be working after graduation while preparing for medical school. Joshua Patnaude of Sanford, Maine is the 2017 salutatorian. He is a double major in computer engineering and electrical engineering. 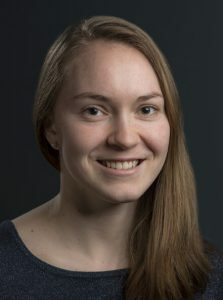 Patnaude is a first-generation college student and a 2013 Mitchell Scholar with numerous honors for academic achievement, including a Maine Space Grant Award. 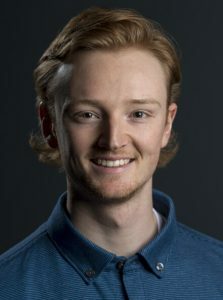 He has held internships every summer of his academic career, working at Great Works Foundation Inc., in Sanford; Pratt & Whitney in North Berwick; Portsmouth Naval Shipyard in Kittery; and Modern Grid Partners in Portland. 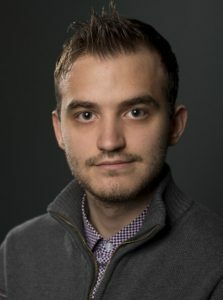 During the academic year, Patnaude has been an undergraduate teaching assistant in UMaine’s Department of Electrical and Computer Engineering. He also served as a peer tutor. For two years, Patnaude served as president of the UMaine Black Bear Robotics Club and since 2014, has helped promote interest in engineering and science by volunteering more than 500 hours at high school VEX robotics competitions. Patnaude is an Eagle Scout and holds a black belt in karate. Patnaude plans to pursue a career in electrical and computer engineering. He eventually wants to become a licensed professional engineer and pursue an MBA. 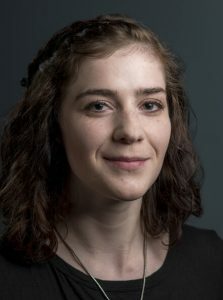 Adeline Mae Hogan Schneider of Bowdoinham, Maine is an Honors student and a double major in philosophy and human dimensions of climate change, with a minor in mathematics. Her numerous academic awards include the Roger B. Hill Humanities Scholarship, and the George and Helen Weston Scholarship for Excellence in Mathematics. Her Honors thesis is: “Mass-Producing Indigeneity: State and NGO Discourse and Action Around Indigenous Knowledge in Bolivia.” Schneider interned with Environment Maine and has been a research assistant, collaborating with professor Cindy Isenhour on a study of the reuse economy in Maine. On campus, she also has been involved with Green Team, the Student Alliance for Sexual Health, the Student Women’s Association and the Philosophy Club. This summer, she will be in Nicaragua, collaborating with graduate student Anna McGinn on a climate adaptation research project.